In consideration of the current unrest in Haiti we have taken the difficult decision to defer our build trip to Haiti until a later date. We are still very committed to assisting Feed My Lambs but will do so at a time when the safety of our volunteers is not a concern. Please check back frequently for updates on timelines but we are aiming for the fall of 2019 or spring of 2020. 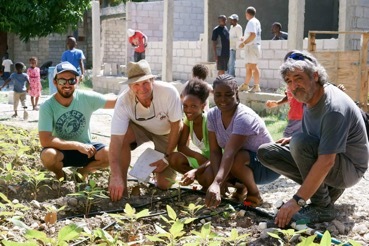 Come together with a team of volunteers to work alongside Feed My Lambs in Montrouis Haiti. Established 7 years ago in Haiti by Bermudian Philip Rego. 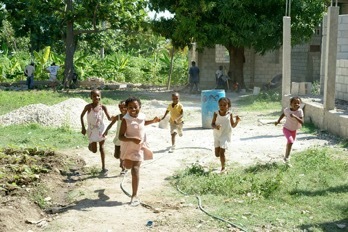 Most Haitians suffer from extreme poverty, food shortages, poor housing, lack of education and little medical care. Phillip, his team and donors have funded, built and operated an orphanage (55 children), a school (700 students) and a medical clinic for the local people. Feed My Lambs mission is to provide a home environment for children that have lost their parents or have been abandoned at our doorsteps by those who they trusted the most. Their highest objective is for the children to know that they are loved and have a sense of belonging, of safety and of well-being. To have the assurance that they can dream and aspire to become whatever their hearts desire. Feed My Lambs tries to provide education to as many children as our school will accommodate. We believe that in order to change the status quo, for the some of the children in Haiti, education is the key to a more productive life. There are many people in Haiti that have never ever visited a doctor. We would like to provide free medical attention to the most impoverished families in our area. 50% of primary school age children are not enrolled in school. Less than 20% of schools have electricity; 39% have potable water; 15% have a library. Life expectancy is 61 years. Half of children under 5 are malnourished. 50% of primary school age children are not enrolled in school. One third of girls over six never go to school. 78% of Haitians are poor (less than US$2 a day), and more than half (54%) live in extreme poverty (less than US$1 a day). In order to participate in the trip you need to sign-up using the BOM online form. You will need your passport details and emergency and medical contact information. The majority of the fields are required and the form will not allow you to submit with blank fields. If you are missing information, for example are renewing your passport, please ensure you enter NA or equivalent in the required fields.